Furniture is very important for the general look of your house and if you take a proper care of it, you will be able to enjoy the comfort of your home for a long time. Making sure that there are no visible stains on the upholstery is not enough. A lot of dust mites and bacteria find the fabric of your furniture to be a very suitable area for them. 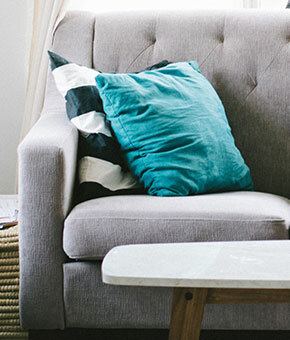 This is why it is important to do a sofa and upholstery cleaning, so that you can be sure that the environment around you is safe for you and your family. If you live in Perth, you shouldn’t miss the opportunity to use our wonderful professional service as we can extend the life of your sofa and other upholstered furniture. You can always rely on our company because we have many years of experience in this field and we know how to tackle even the toughest stains without damaging the furniture. You can be sure that we are the only company in Perth which can take such a great care for your furniture. What may surprise you is that our sofa and upholstery cleaning service is very affordable despite its excellence. We believe that you shouldn’t pay a huge fee in order to enjoy a wonderful look for your sofa and upholstered furniture. What makes us the best cleaning company in Perth? Our company always strives to fit our customers’ preferences and needs. This is why we can assure you that if you hire us, we will pay special attention to every single one of your wishes and we will take great care of your furniture.